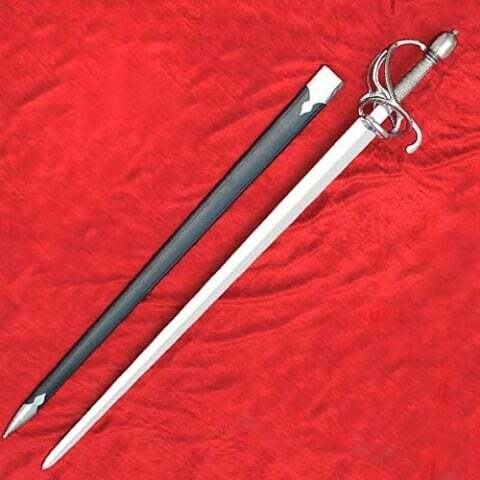 One of the most practical and prolific swords on offer. 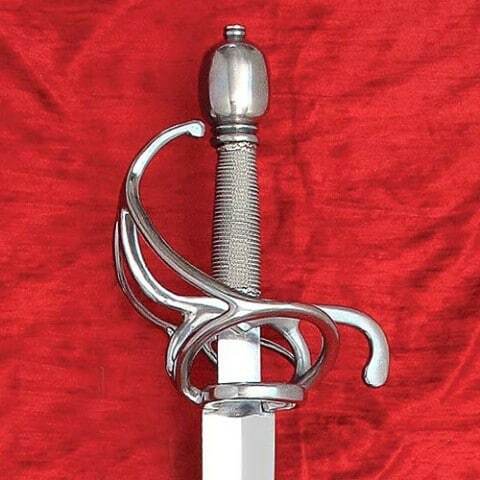 Several of these swords are in private and public collections. 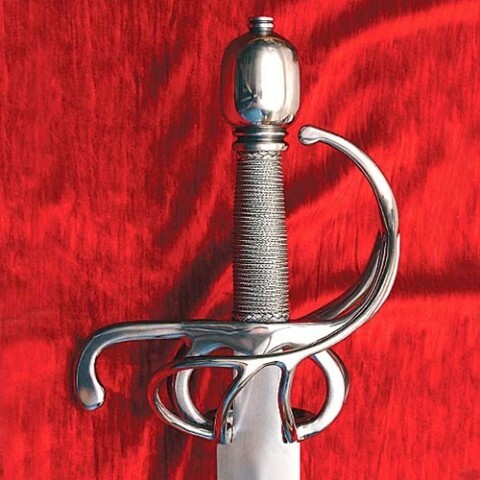 Perfect example of the German Military Cut-and-Thrust Swept Hilt carried by the Munich Guard. Shorter blade and stout hilt perfect for breaking up a street fight or tavern brawl. Steel pommel and guard with wood grip wrapped in twisted steel for a solid hold. Well tempered high carbon steel 86cm x 6cm blade. Overall length 110cm. Weight 1.4kg. Includes matching leather covered scabbard.